New, Different, Dramatic? 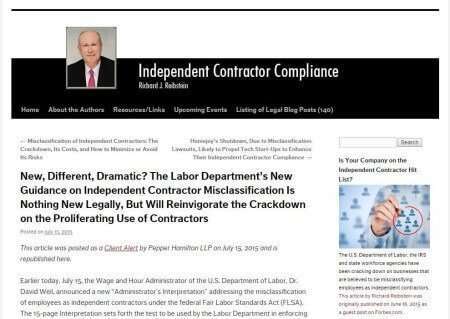 The Labor Department’s New Guidance on Independent Contractor Misclassification Is Nothing New Legally, But Will Reinvigorate the Crackdown on the Proliferating Use of Contractors - Employee or Independent Contractor? “But a close examination of the Interpretation reveals that, legally, it contains nothing new, different or dramatic. In fact, the new Interpretation does little more than restate the same six factors that have historically been applied by the Labor Department and that can still be found on its website. The main difference between the new Interpretation and the Labor Department’s prior enforcement policy is that there is a greater emphasis on a worker’s “economic dependence” on the business that has engaged his or her services. Although advocates of expanded employee rights will undoubtedly laud the Labor Department for its bold action in announcing the new guidelines, they should readily acknowledge that nothing in the law has really changed. 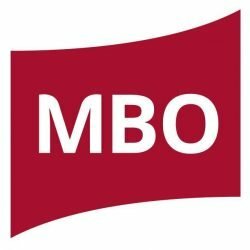 Indeed, this new Interpretation cannot change the law; it simply sets forth the Labor Department’s position on the test used by the courts in determining independent contractor status under the federal overtime and minimum wage laws. Read the full story at New, Different, Dramatic? The Labor Department’s New Guidance on Independent Contractor Misclassification Is Nothing New Legally, But Will Reinvigorate the Crackdown on the Proliferating Use of Contractors.